Dr Mahamudu Bawumia, running mate of Nana Akufo-Addo, flagbearer of the New Patriotic Party (NPP) for the 2016 presidential elections, has accused the National Democratic Congress government of stealing $1.3 billion. According to him, the amount reflecting in public corruption scandals under the NDC government was so huge that five of such amounts of money totalled GH¢2 billion, equivalent to $1.3 billion. Speaking at a fundraising programme in London over the weekend, Dr Bawumia noted that corruption is being perpetrated in public circles with impunity. Dr Bawumia, former Deputy Governor of the Bank of Ghana, wondered how President John Mahama’s administration could steal $1.3 billion through public corruption and later run to the International Monetary Fund (IMF) for a bailout of $920 million. “The increase in fiscal deficits has also been compounded by pervasive corruption in the public sector in the areas of over-invoicing of contracts underpaid by the practice of sole sourcing in the award of overpriced contracts and corruption related to judgement debts, SADA, SUBAH, GYEEDA, ghost names on government payroll and so on,” he noted. The reputed economist added that government has no fear for the consequences of its corruption because it thinks it could conspire to get away with it. “These acts of corruption are very costly to the nation and take away the opportunities for government expenditure in critical areas,” Dr Bawumia said. He disclosed that the current administration has no cause to blame the country’s current economic predicament on shortfall in resource inflows because it had had more financial resources than any other government in the history of Ghana. He also made reference to former President Rawlings’ comments on the ongoing corruption levels in the country, noting, “Indeed, former President Rawlings has recently noted that the corruption for which he overthrew the government in 1979 is not up to 10 percent of the corruption we are seeing today. “The financial resources that have been available to this government are actually mind-boggling. In the eight years of the NPP’s administration between 2001 and 2008, it raised taxes of GH¢15.2 billion in contrast to the last six years of this NDC government – 2009 to 2014. It has raised GH¢62 billion in taxes, compared to GH¢15 billion under the NPP,” he underscored. 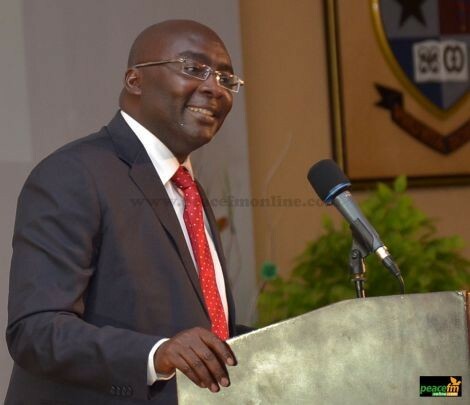 Dr Bawumia wondered why government had to run to the IMF for a bailout, despite the availability of resources such as taxes, lots of revenue from cocoa, gold and oil exports, among others.